The Nigerian National Identity Management Commission (NIMC) and MasterCard today announced at the World Economic Forum on Africa the roll-out of 13 million MasterCard-branded National Identity Smart Cards with electronic payment capability as a pilot program. The National Identity Smart Card is the Card Scheme under the recently deployed National Identity Management System (NIMS). This program is the largest roll-out of a formal electronic payment solution in the country and the broadest financial inclusion initiative of its kind on the African continent. The Project will have Access Bank Plc as the pilot issuer bank for the cards and Unified Payment Services Limited (Unified Payments) as the payment processor. Other issuing banks will include United Bank for Africa, Union Bank, Zenith, Skye Bank, Unity Bank, Stanbic, and First Bank. 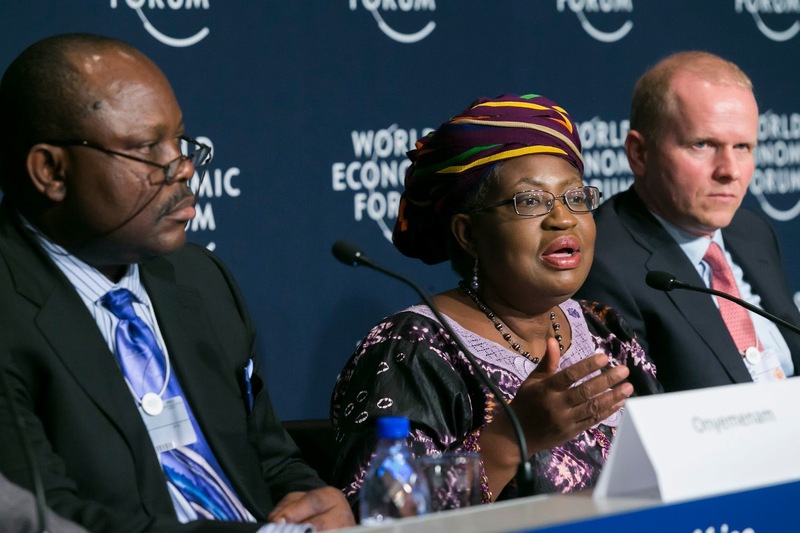 The announcement was witnessed by Dr. Ngozi Okonjo-Iweala, Minister of Finance and Coordinating Minister for the Economy in Nigeria, who stressed the importance of the National Identity Smart Card Scheme in moving Nigeria to an electronic platform. This program is good practice for us to bring all the citizens on a common platform for interacting with the various government agencies and for transacting electronically. We will implement this initiative in a collaborative manner between the public and private sectors, to achieve its full potential of inclusive citizenship and more effective governance,” she said. “Today’s announcement is the first phase of an unprecedented project in terms of scale and scope for Nigeria,” said Michael Miebach, President, Middle East and Africa, MasterCard. “MasterCard has been a firm supporter of the Central Bank of Nigeria’s (CBN) Cashless Policy as we share a vision of a world beyond cash. From the program’s inception, we have provided the Federal Government of Nigeria with global insights and best practices on how electronic payments can enable economic growth and create a more financially inclusive economy”. “Access Bank’s involvement in this project is testament to our ongoing efforts to expand financial inclusion in Nigeria,” said Aigboje Aig-Imoukhuede, CEO of Access Bank. “The new identity card will revolutionize the Nigerian economic landscape, breaking down one of the most significant barriers to financial inclusion – proof of identity, while simultaneously providing Nigerians with a world class payment solution”. “Unified Payments is the foremost transaction processor and pioneer of EMV processing and acquiring in Nigeria, owned by leading Nigerian banks. We will use our expertise and experience to guarantee the success of the project and ensure that the data of Nigerians are protected. We look forward to working with other partners in delivering value to all stakeholders’’, said Agada Apochi, Managing Director and CEO, Unified Payments. The new National Identity Smart Card will incorporate the unique National Identification Numbers (NIN) of duly registered persons in the country. The enrollment process involves the recording of an individual’s demographic data and biometric data (capture of 10 fingerprints, facial picture and digital signature) that are used to authenticate the cardholder and eliminate fraud and embezzlement. The resultant National Identity Database will provide the platform for several other value propositions of the NIMC including identity authentication and verification. Thanks to the unique and unambiguous identification of individuals under the NIMS, other identification card schemes like the Driver’s License, Voters Registration, Health Insurance, Tax, SIM and the National Pension Commission (PENCOM) will benefit and can all be integrated, using the NIN, into the multi-function Card Scheme of the NIMS. When fully utilizing the card as a prepaid payment tool, the cardholder can deposit funds on the card, receive social benefits, pay for goods and services at any of the 35 million MasterCard acceptance locations globally, withdraw cash from all ATMs that accept MasterCard, or engage in many other financial transactions that are facilitated by electronic payments. All in a secure and convenient environment enabled by the EMV Chip and Pin standard. Upon completion of the National ID registration process, NIMC aims to introduce more than 100 million cards to Nigeria’s 167 million citizens.